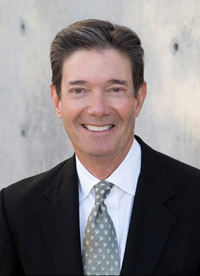 Charles joined Slates Harwell, LLP after more than thirty years of service with Austin Industries, Inc. As General Counsel for Austin he managed the legal affairs for one of the largest general contractors in America, with commercial, transportation, and industrial operations in fifteen states. He has extensive experience in a variety of legal matters impacting the construction industry. In the commercial construction sector, Charles has been involved with airports, high rise buildings, sports stadiums, hotels, and hospitals. His work in the transportation and infrastructure segment has included bridges, highways, and asphalt and concrete paving work. Finally, Charles has also worked in the industrial market, dealing with petrochemical, manufacturing, and power generation projects. This depth of knowledge provides Charles with special expertise in the drafting and negotiation of contracts and other documents needed in the process of construction and project development. Similarly, he brings a client’s insights into the areas of claims and litigation – what actions are effective and what strategies are worth pursuing. Lastly, through the development of a company commitment to minimize losses and litigation arising on projects, Charles helped develop an integrated program of issue-spotting, cross-discipline risk management, and early dispute avoidance or resolution that he termed the “Zero Claim Project.” The Zero Claim Project system brings together key contractor personnel and tested mitigation methods at key points in a project’s lifecycle to work to avoid or minimize losses, claims, and litigation. To complement his role at Austin Industries, for more than 25 years Charles has served as a member of the American Arbitration Association’s panel of construction arbitrators. He has arbitrated and mediated a wide range of construction disputes – from residential defect claims to complex, multi-million dollar disputes arising from large construction projects. Charles has participated on many industry and trade association boards and committees including the Associated General Contractors of America (AGC), and the Construction Industry Ethics and Compliance Initiative (CIECI). He is frequently invited to speak at construction industry conferences on a variety of topics. In October 2013 he received the Robert H. Dedman Award for Ethics and Law, presented by the General Counsel Forum. Charles is an avid golfer and collects contemporary art.